Yasmin is someone I've kind of been sitting on for a while, then with all of my laziness and blog inactivity just sort of forgot to post about. Man, am I sorry about that now! I'm right now, for the very first time, listening to Yasmin's new "old school, reggae infused carnival jam," "Light Up (The World)" featuring D'n'B/Jungle master Shy FX and the lovely Ms. Dynamite. While I know the song has since been remixed by MJ Cole, the Freemasons and others no doubt, the original version of the song is simply beautiful! WOW! For those of you who don't know, Yasmin is really Yasmin Zarine Shahmir, a 23 year old DJ/Singer/Songwriter from England. Signed to Levels Entertainment, an imprint of famed English dance label Ministry of Sound, she is a relative newcomer to the scene. After completing a UK headlining tour with popular English rapper Example, Yasmin was given the opportunity to feature on a track by one of her co-openers, another English rapper called Devlin. See, Yasmin had the privilege of opening alongside Devlin and a then little known singer/songwriter called Ed Sheeran. Devlin's second single "Runaway," featuring Yasmin went top 20 on the Official UK Singles Chart, peaking at #15. Now, with a small taste of chart success, Yasmin forged on with her own career, signing to Levels Entertainment and releasing her own solo single "On My Own" in January of 2011. 'On My Own" was a top 40 hit, peaking at #39 not to mention landing at #6 on the UK Indie chart. In the Spring of 2011, Yasmin released a follow up single, the insanely catchy "Finish Line" which was produced by Labrinth. 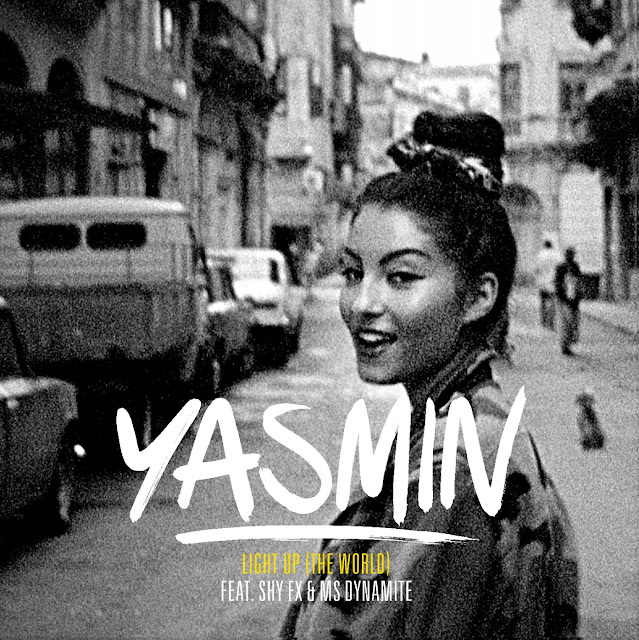 Yasmin's sophomore single had considerably more success than it's predecessor, peaking at a respectable #13.